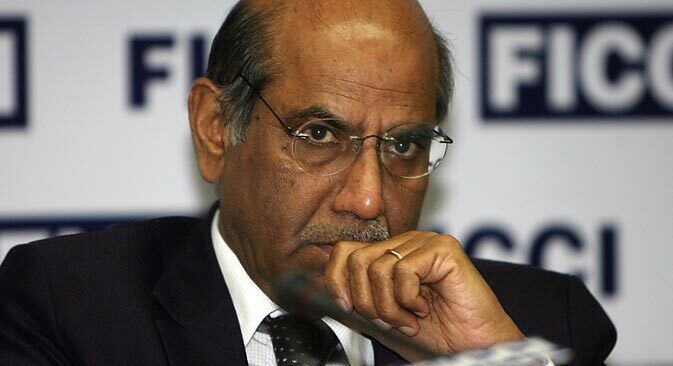 Shyam Saran, the former Indian Foreign Secretary, is known for his sharp diplomatic acumen and out-of-the-box thinking. That is perhaps why when he retired as Indian Foreign Secretary in September 2006, he was appointed as the Prime Minister’s special envoy to help him on nuclear and climate change issues. He is the Chairman of the National Security Advisory Board and Chairman of leading Indian think tank Research and Information System for Developing Countries (RIS). India and Russia will have their 14th annual summit in Moscow on October 21. How do you view the current state of bilateral relations between India and Russia? Will the upcoming summit result in an upswing in bilateral relations? How? India-Russia relations are excellent, with a high degree of mutual trust and confidence between our leaders, a convergence of views on important regional and international issues and a continuing commitment to a long-term security and defence relationship. However, our economic and trade relations are still far below their potential. The promise of an energy partnership has also not been fully realized. It is our hope that while consolidating the already wide-ranging links between our two countries the leaders will focus on these areas, which hold a great promise for the future. You have been in the government for almost four decades and still continue to be associated with the Government of India in various ways. What is your sense of how the Government of India is looking at its ties with Russia? Every government in India, irrespective of its political persuasion has attached the highest priority to our relations with Russia and this continues to be the case today. We see Russia as a time tested and reliable partner which has stood by us in difficult times. Today Russia is playing a more active role on the global stage. This is apparent in the key part played by Russia in managing the Syrian situation. We believe that in Central Asia, too, Russia will have a larger profile and we welcome this. India and Russia have a common interest in ensuring peace and stability in Afghanistan after the ISAF withdrawal in 2014. China has been an area of your expertise and Chinese has been your language as an Indian Foreign Service officer. There are indications of an increasing synergy and closeness between Russia and China. Are Russia and China actually getting closer? If yes, how does it impact on the world and India, in particular? I said earlier that India-Russia relations are marked by mutual trust and confidence. Therefore, we do not have concerns about Russia’s growing engagement with China. After all our own engagement with China is also expanding, and please note that in the BRICS, the three countries are forging a strong coalition of emerging countries. There are issues in India-China relations but these must be and are being managed by the two neighbours themselves. Our Prime Minister will soon be visiting Moscow and Beijing. The Shanghai Cooperation Organization (SCO) is inclined to grant full-fledged membership to India? Will it help India? How? India believes it can make a positive contribution to the SCO as a full member and this will strengthen our already close and friendly ties with the Central Asian countries. During the Indian Prime Minister’s recently-concluded visit to the US, the Americans offered India joint-production and transfer of technology in the defence field. This has been the biggest USP of Russia for India. Do you think this will wean the Indians away from the Russians in the defence field? Why? This is not the intention at all. India-Russian defence relations are well-established and we are already working on some cutting edge platforms such as the fifth generation fighter plane. Compared to the wide-ranging and multi-faceted defence relations we have with Russia our ties with the US are still at a nascent stage. One is not exclusive of the other. The Indian defence market is large and expanding and there will be opportunities for both US and Russian companies to enter into mutually beneficial partnerships with counterpart Indian entities. Can you give a couple of specific ideas of giving fillip and new direction to the Indo-Russian relations? As I said earlier, we really need to expand our trade and investment relationship which is lagging behind other components of our bilateral ties. We would also like to enter into a long-term energy partnership with Russia. Our energy demand is rising steadily. Russia is, on the other hand, an energy superpower. We have successfully collaborated in the Sakhalin projects but there needs to be a much more leadership- driven commitment to establishing a privileged partnership in this strategic area. I would also hope that the two sides have more regular consultations on regional and international issues of mutual concern such as Afghanistan and the Gulf. We recognize that Russia is also an Asian power and had supported Russia’s entry into the East Asia summit (EAS). A more active Russian role in the newly emerging theatre of Indo-Pacific could help in creating more balanced security architecture in this region.